ABB, a leading engineering group worldwide, is helping customers to use electrical power efficiently , to increase industrial productivity and reduce the environmental impact in a sustainable way . ABB employs more than 150,000 employees in more than 100 countries and invests more than $ 1.4 billion in R & D partnering with more than 8,000 scientists and 70 universities . EPISTOLIO is recognized from ABB as an ABB Value Provider, or as a technical distributor able to offer our customers the best solutions for sales and technical support, thanks to a dedicated technical training, a deep cooperation with ABB and a timely local offer. HMI, PLC, frequency converters in low and medium voltage, servodrivers and ABB servomotors are a part of EPISTOLIO offer. In fact, local presence, customer support, technical support, experience and availability allow us to offer a real added value for manufacturers, integrators and end users. From us you can expect the ability to understand your business, your processes and your needs. Our specialized experts, possibly in collaboration with ABB, will show you the best way to achieve cost-effective solutions. Our technical expertise will be useful from the choice of the most appropriate aolution, to the sizing of the unit to the final commisioning. Wherever you are in the world, you can count on our support. Specifically if you are machine builders the overall structure of ABB could become an indispensable part of your service to our customers. ABB offers the widest selection of frequency converters in low voltage, from 0.18 to 5600 kW , compared to any other manufacturer. These drives are a benchmark for reliability , simplicity, flexibility and convenience during the entire life cycle. 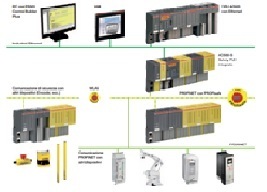 From process industry to OEM ABB has developed dedicated products for any application. 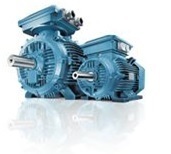 Due to the unique method of direct torque control DTC (Direct Torque Control ) patented by ABB , the converters provide excellent control performance and high accuracy in all conditions, even without the use of an encoder. ABB offers a complete portfolio of converters for variable speed drives and soft starters for medium voltage applications in the power range from 250 kW to 100 MW. These converters can be used in a wide range of applications in various industries , including papermaking , metallurgy , shipbuilding, mining , cement , power, chemicals , hydrocarbons and water treatment . ABB offers a complete and scalable PLC platform based on CoDeSys IEC61131 -3 and PLCopen suitable for all automation tasks , from the simplest to the most complex . The ABB PLC AC500 series offers several I / O , all major fieldbus interfaces and a wide range of powerful CPU modules . The integrated internet technology allows you to make programming, maintenance and many other activities remotely. The AC500 -XC series is the ideal choice for extreme conditions (XC ) for applications in the shipbuilding , wind, solar, vibration machines and the treatment of wastewater. In addition, the offer includes the Safety PLC AC500 -S.
ABB offers a comprehensive range of products for motion control suitable for various industrial applications such as labeling , packaging , bottling, pick & place , laser cutting, palletizing , flying shear , high speed bagging . In addition to high-performance servo drives , ABB solutions for motion control include multi- axis controllers , servo motors , linear motors , PLC and human machine interfaces (HMI) as well as safety devices. achieve higher levels of efficiency and energy savings even under the toughest conditions . Thanks to excellent quality material and high technology , the electric motors and generators are designed to operate efficiently and reliably within any application and process , ensuring a low cost life of the product. An appreciable portion of the electricity used in Italy is absorbed by the motor systems and it accounts for about 75 per cent . ABB aims to increase industrial productivity and efficiency of its customers in respect of environmental impact through simple and concrete proposals , which could achieve rapid and measurable benefits not only in terms of energy costs, but also productivity , materials , operating costs and maintenance. Alongside high-efficiency motors and frequency converters , with a view of an integrated offer, ABB offers services and tools that help clients to identify opportunities for savings and to increase the efficiency of their plants.